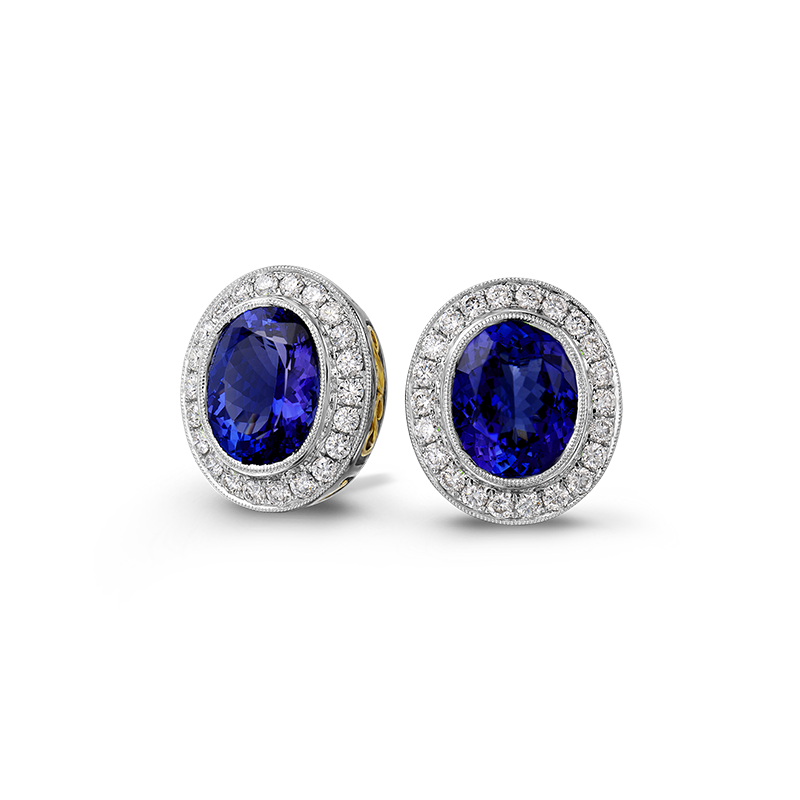 The tanzanite earrings shown contain two oval shape tanzanite gemstones weighing 7.64ct in total tube set in 18K White Gold & Yellow Gold filigree with micro pavé diamonds. 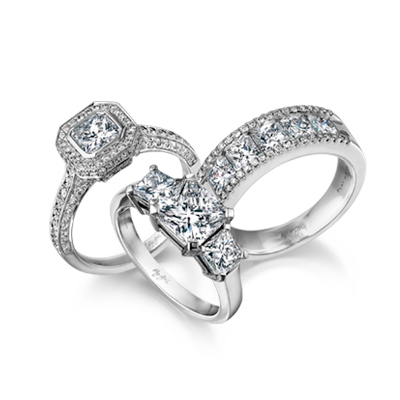 This design is available from 3.00tcw – 5.00tcw can be manufactured to order in 18K white or yellow gold and platinum. The Ayanda Tanzanite collection is certified in accordance with the Tanzanite International Grading Standard.